After 16 years of an intensive collaboration which has been fulfilling both artistically and personally, viola player Roland Glassl has decided to shift his focus to other areas of his musical life as from the start of the 2015/16 season. 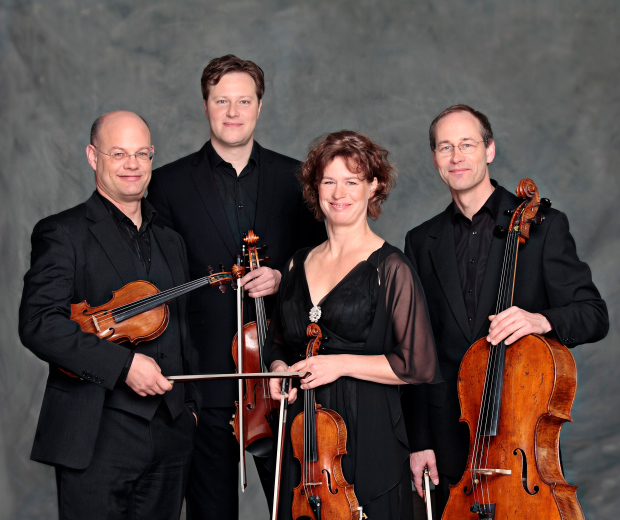 In Andreas Willwohl the Mandelring Quartet has found a new partner who comes equipped with all the necessary qualities for the collaboration to continue in a positive manner as well as enriching the quartet experience with fresh input. Andreas Willwohl was principal viola with the Berlin Radio Symphony Orchestra from 2001 to 2012, and in 2011 was appointed professor at the Nuremberg Musikhochschule. Born in Erfurt, he studied in Weimar and Berlin with Alfred Lipka. He received important musical stimulus from Christoph Poppen and Kim Kashkashian and, as a member of the Faust Quartet, from Eberhard Feltz, the Amadeus Quartet, the Alban Berg Quartet and the La Salle Quartet. He has won prizes at numerous national and international competitions including the Joseph Joachim Chamber Music Competition in Weimar, the Charles Hennen Competition in Heerlen (Netherlands) and the Concours International de Bordeaux. Andreas Willwohl brings with him 14 years’ experience of quartet playing as well as an extensive knowledge of the repertoire. The Mandelring Quartet looks forward to the coming years with the prospect of exciting projects such as the CD recording of the string quintets and sextets of Johannes Brahms, in which both viola players will be taking part. The two will also be heard together in the context of a Mendelssohn cycle in the Radial System, Berlin, on 13 and 14 November, in a concert that includes the composer’s string quintets. Highlights in the forward diary for the near future are the final concert of this year’s cycle in the Berlin Philharmonie on 29 May, the HAMBACHERMusikFEST in Neustadt/Weinstrasse from 3 to 7 June, and appearances at the Festival du Luberon (France) on 16 and 18 August.